- Lakeside Lift standard build will enable this lift to operate in as shallow water as your boat can propel itself with full cradle travel. - Lakeside Lift standard build can accomodate up to nominally 4' water depth (depending on lake bottom surface). Additional leg extensions are available up to 13' water depth. 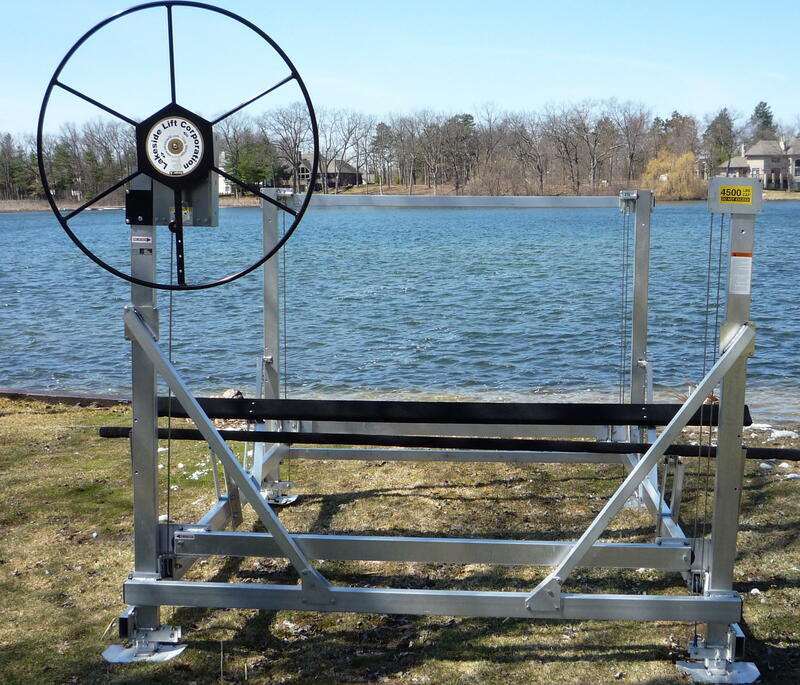 - Lakeside Lifts structural warranty covers aluminum materials/workmanship for fresh water applications. - Lakeside Lifts adapt to many applications by offering different lifting systems. You may start out with ski bunk kit and decide to switch to pontoon boat kit -- keep the same lift, change the lifting kit only. - Lakeside Lift canopies are available in different sizes, fabrics, and color selections. There are several options available to fit your needs. 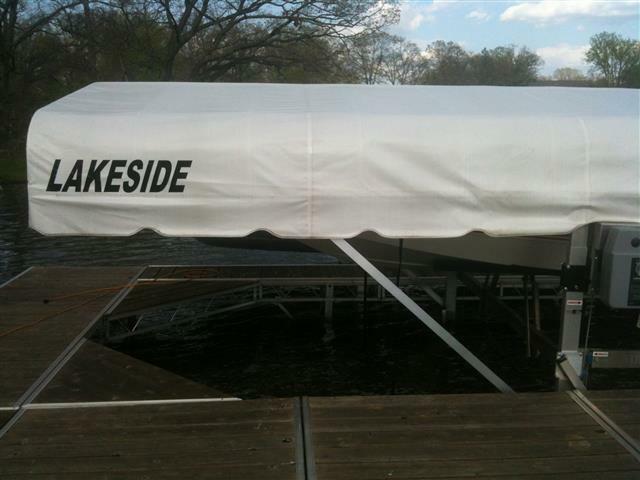 - Lakeside Lift canopies can be ordered at time of original purchase or added at a later date. - Lakeside Lift carries an assortment of accessories for our lifts! 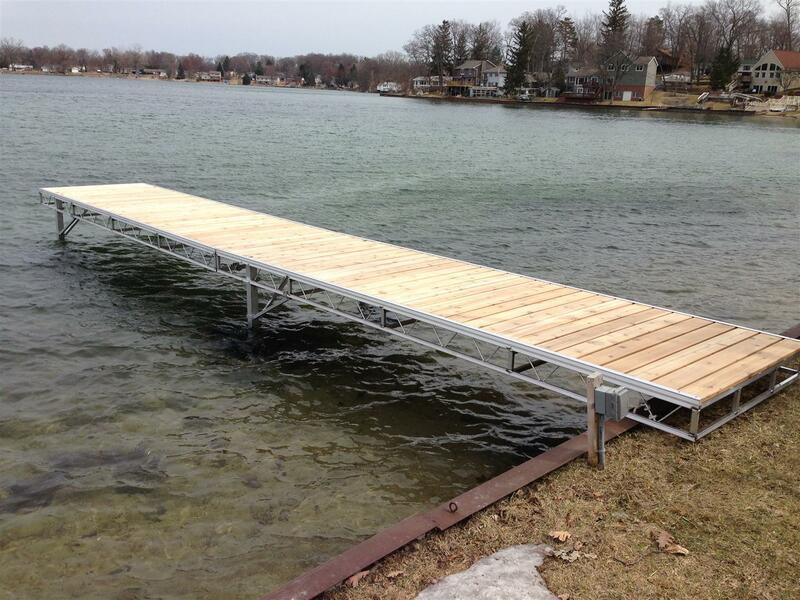 - Contact us to get information about our dock options.